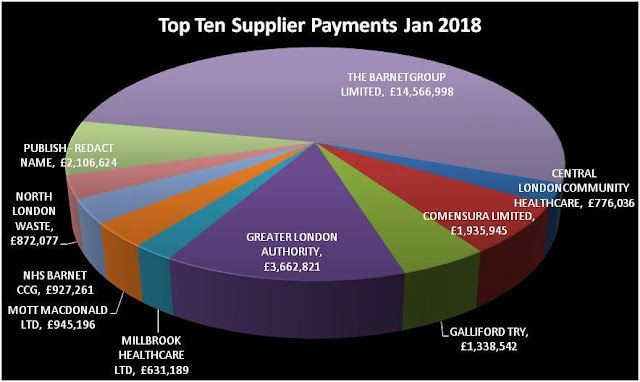 The supplier payments for January have been published. For the first month in a long time Capita are not in the top ten of payments. However, the interim and agency supplier Comensura billed more than £1.9 million. In terms of Capita, they received a more modest £708,603 on both the CSG and Re contracts. However, we are still using up the advance payments balance as can be seen from the chart below. In terms of the interim and agency bill there have been repeated statements that they are getting these costs under control. Barnet spends a huge amount on agency staff and in addition Capita claims a very large amount under the gainshare clause. Last year we spend just under £20 million . 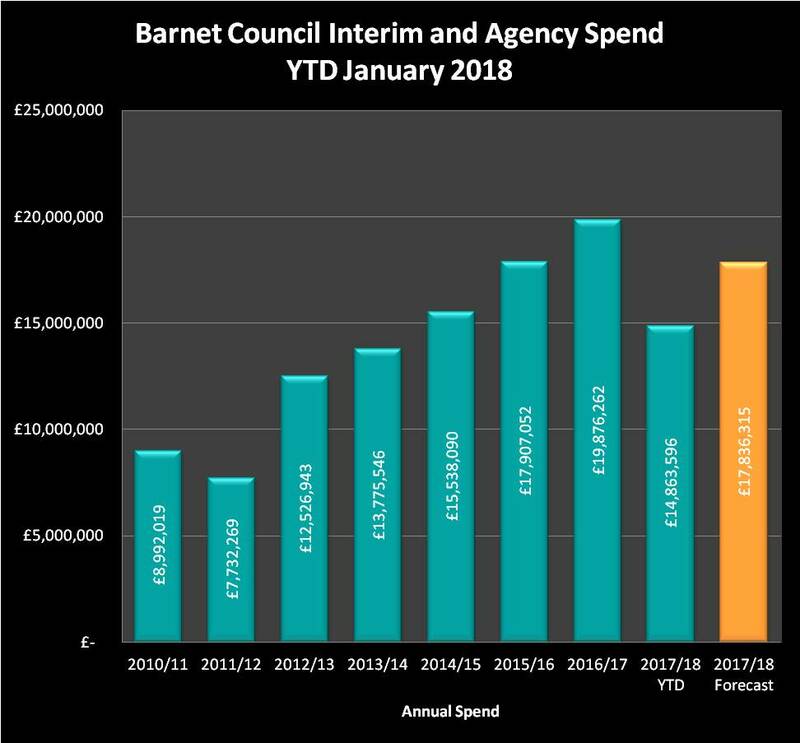 This year, with two months still to run in the financial year, Barnet have already spent £14.8 million and it looks like they will hit just under £18 million by year end. That is still a vast amount of money to be spending on temporary staff and on which we pay 4 separate amounts of commission. As always, I will continue to monitor spending at Barnet.